The surface of the skin is covered by intersecting grooves and ridges which produce characteristic skin surface patterns. It has been suggested that these folds provide a reserve of tissue, allowing the skin to stretch during normal function1–3. The extensibility of the skin depends on the direction of extension4, and the skin surface patterns are apparently also directionally disposed5. 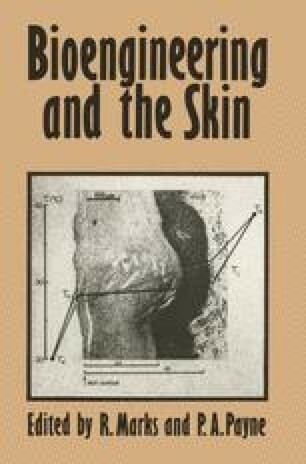 The relationship between the structural directionality of the surface and the directional extensibility of the skin was investigated in vivo.